The ELD mandate has presented many opportunities and challenges for the transportation industry. This eBook will help you view the ELD mandate with a new and positive perspective. Learn about the challenges facing the industry, violations, consequences, and the many opportunities available to fleets who transition to ELDs. 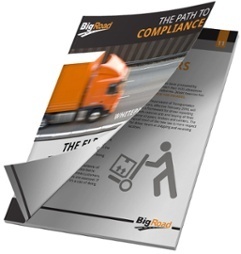 Details are provided on how to prepare for your transition to ELDs and how BigRoad can support you on your path to compliance - download the eBook today!